If you could go back in time, what would you change? Today is better the second time around. 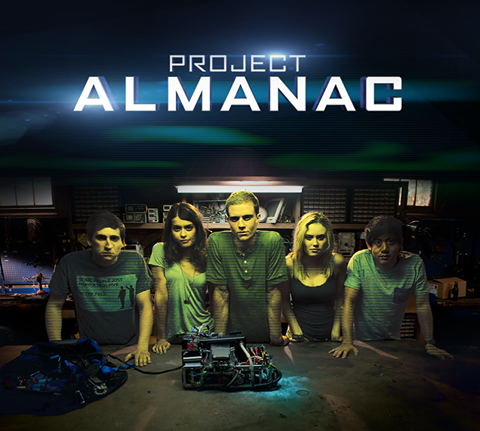 Project Almanac (formerly Almanac, Welcome to Yesterday and also known as Cinema One) is an upcoming American sci-fi adventure film directed by Dean Israelite and written by Jason Harry Pagan and Andrew Deutschman. The film will be presented in found footage, and the plot centers on the creation of a time machine. A group of friends discover plans to build a time machine and then build one themselves. They use the time machine initially to undo past mistakes, and eventually their goals turn towards their own gain and pleasure but soon realize that changing the past has dire consequences in the future which hurts some people along the way.